Have you recently watched a YouTube video that has audio that you really like and want to export and play them in your iPhone? Without a doubt, there are a lot of videos on YouTube that focus more on their music and sounds rather than their actual visual content. The best examples of these are songs, music, dialogue, sound effects, etc. Some are even rare that you simply can’t resist to own them yourself in order to add them to your collection. No worry! Here is an easy way for you to download YouTube audio to iPhone (iPhone X and iPhone 8 included). 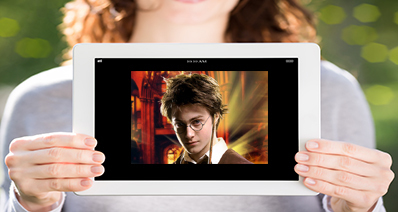 For this specific purpose, you would certainly be needing a YouTube audio downloader for iPhone. And if there’s one program that has been proven to be the most efficient YouTube audio to iPhone tool, it's none other than iTube Studio YouTube Downloader. iTube Studio is a YouTube audio downloader program that makes it easy for most users to download YouTube videos they like then convert and export them to their iPhone for future use. Take note that there are multiple formats for you to choose from, which make sure that you'll always get the file that is compatible with your chosen device. Besides YouTube, it also supports other video-sharing sites like Dailymotion, Facebook, Metacafe, Vimeo, and a host of other sites. Download HQ videos from up to 10,000 video-sharing sites besides the ever-popular Youtube at 3X faster speed. Promptly and seamlessly download videos using its built-in sniffer that detect videos that start playing on your browser. Directly download YouTube to MP3 format to extract audio from any YouTube video or other videos. 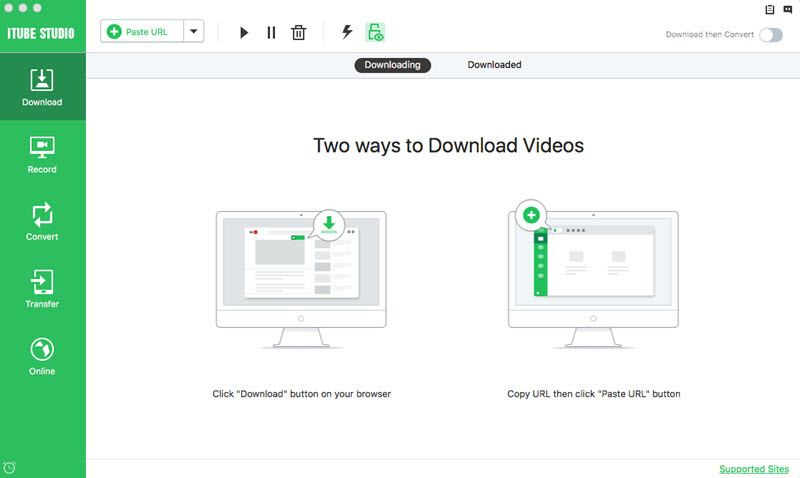 Download and convert videos to numerous popular formats (both desktop and mobile) with one-click. Support to batch download multiple videos including YouTube playlist or Lynda playlist simultaneously. Offer a Private List to protect your downloading information with a password known by yourself only. Once downloaded and installed iTube Studio YouTube audio downloader on your Mac or Windows PC, launch this YouTube audio downloader program to the main interface. Go to YouTube to find audio file or video that contains the audio you want. 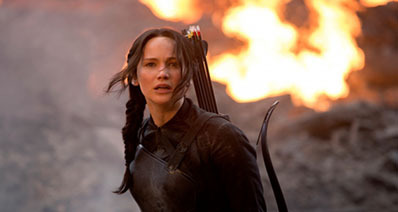 Once you open the file, you will see a "Download" button on the video page. You can directly click on the button to download the YouTube file. 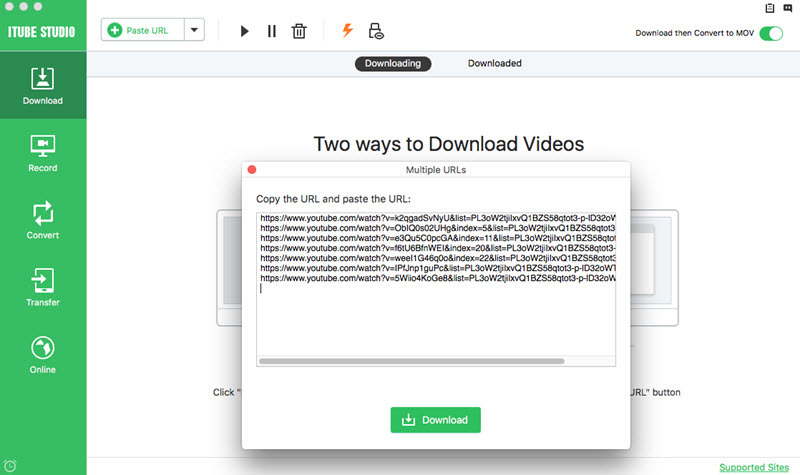 Another way is to download by URL using "Paste URL" button, just copy the URL of your YouTube video and then paste it in iTube Studio. The program will start downloading the YouTube videos or audio. You can also directly download YouTube to MP3 format by clicking the drop down icon beside "Paste URL" and choose the Download MP3 option. The YouTube Audio Downloader will automatically detect the YouTube video and extract the audio from YouTube for you. First of all, head back to the "Downloaded" tab then press the "Convert" button at the far right side next to your downloaded video. A window will pop up giving you multiple options to choose from. 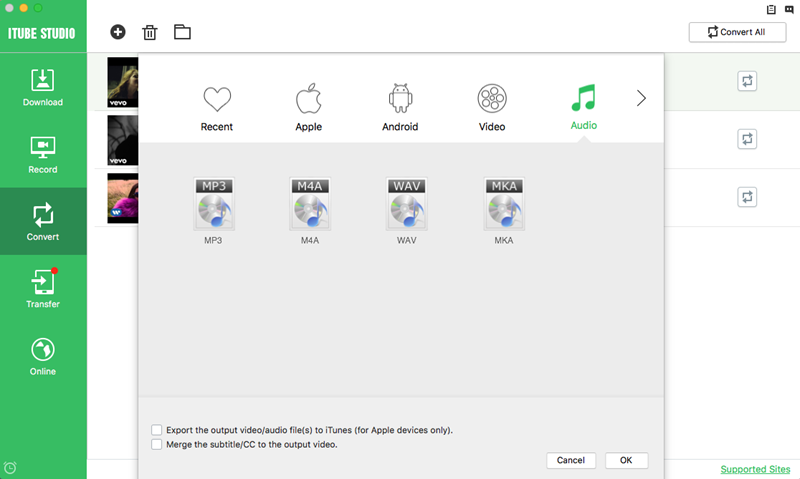 You can click on "Audio" and select your desired audio format, such as MP3, M4A, etc. And then sync your iPhone to your Mac or Windows PC, use the Transfer feature to transfer your converted YouTube audio to your iPhone.